Up in Northern Palawan is the Calamianes Group of Islands – 3 large islands with hundreds of mostly uninhabited outlying islands. 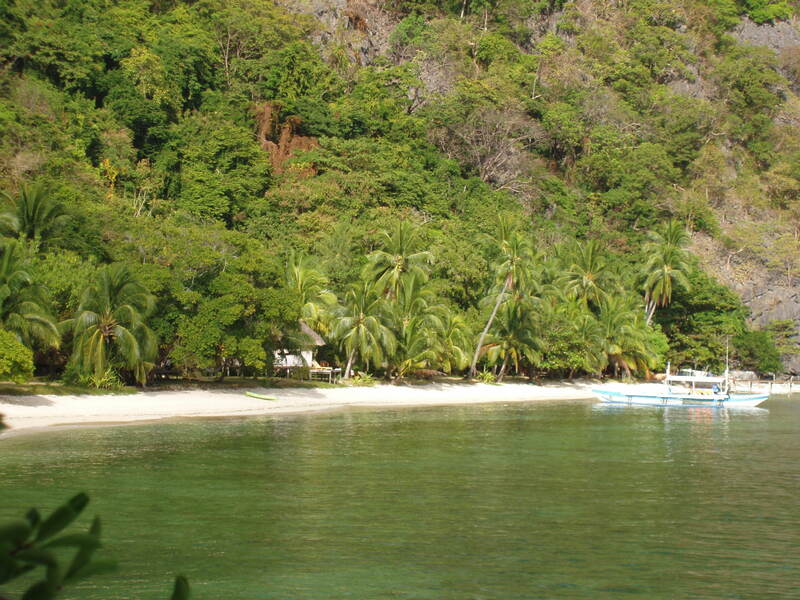 Busuanga is the main island where the airport is located and where you find the rapidly growing town of Coron. There is also the island of Culion, which had traditionally been the trading center of the area in the early years. This is where the National Leprosarium Colony is located and they continue to have the best available medical facilties to this day. Then there is Coron Island, another large limestone island with inland lagoons, deserted beaches and beautiful dive spots.This is all part of the last frontier of Philippine tourism, Palawan. 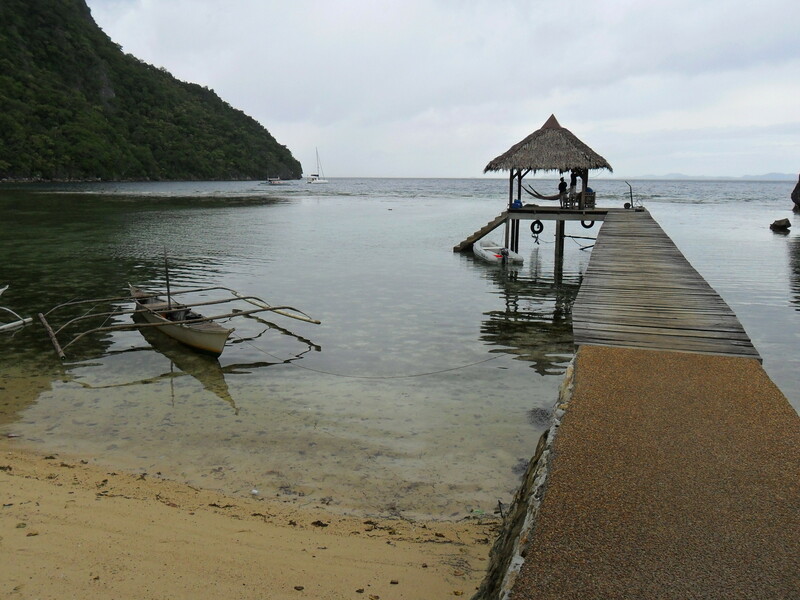 Coron brings about images of white sand beaches, world-class diving and awesome limestone cliffs. In fact, it is far from that, much in the same way as Caticlan is to Boracay. It was a small fishing town until the backpackers and divers discovered it in the 80’s. It is also surrounded by other large islands that make a little bay where ships would hide in bad weather. 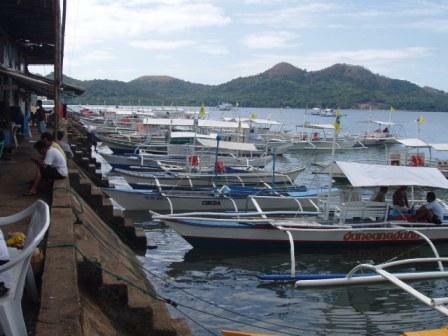 It also has a small port where passenger ships would pass on the way to Puerto Princesa, unload cargo and the few tourists that chose the rough way down to these islands. 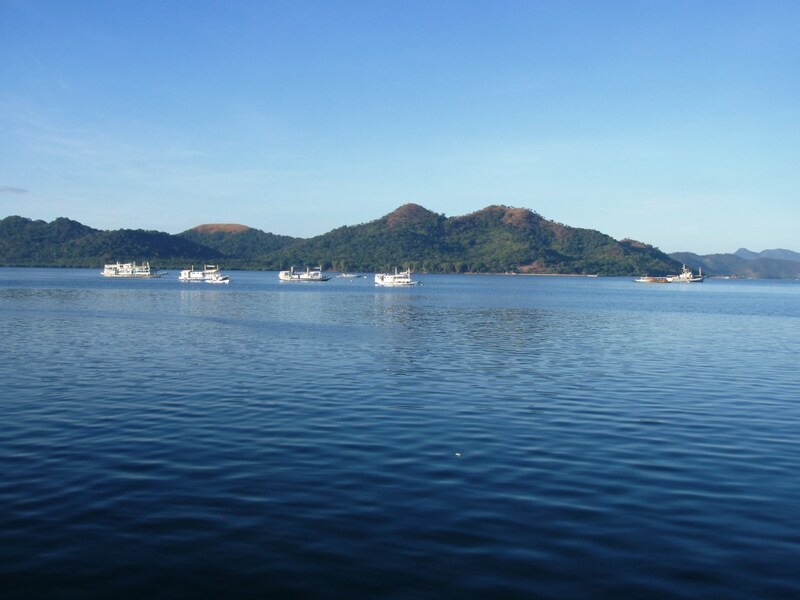 The attraction of Coron was, and still is, its world class diving sites. It is also one of the world’s ten top dive sites, largely due to the wrecks left in the aftermath of the Japanese retreat in World War II. People from around the world come to dive the waters around the Calamianes, swearing by its excellent wrecks and impeccable biodiversity. It is poised to become a major tourist destination of the Philippines and making a name for itself in the tourist world map. possibly make an organic farm in this island of 700 hectares, made up of mostly of limestone with a few hectares of jungle scattered around it? 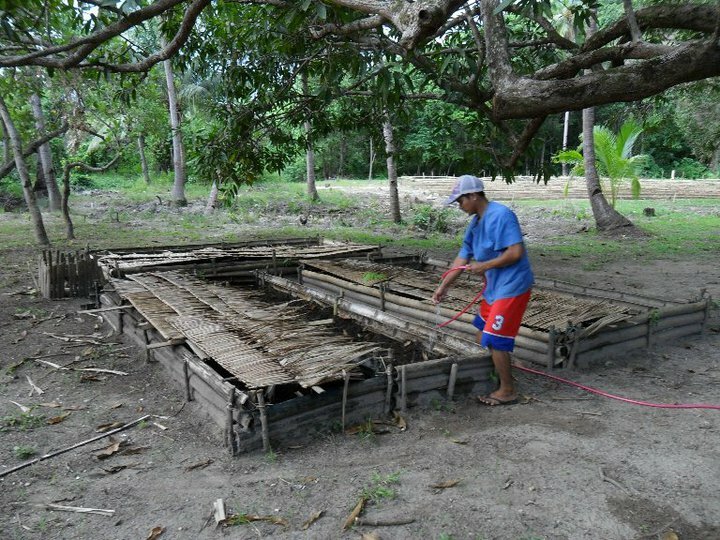 It meant carving a farm out of some forested areas surrounded by mangroves, to which the only access was through the sea. This was, quite literally, island farming. We found a reliable water source about 4 months later, in a cliff about 200 meters above the farm which was surrounded by limestone cliffs everywhere. We were also carving our farm out of this little jungle by clearing foliage, cutting branches and cleaning the area. 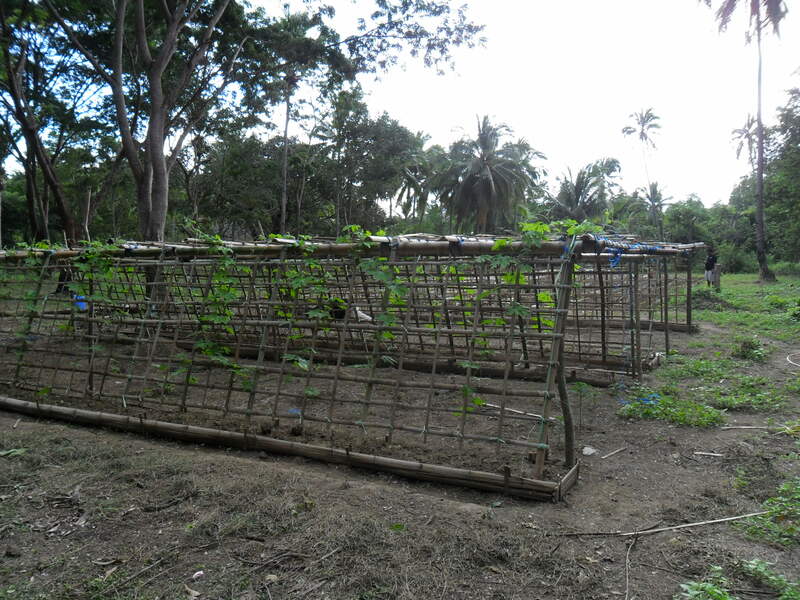 From these clearings we made our vegetable plots, using the fertile clayish soil of the island. The Nightcrawlers came soon after that and we also started making our own liquid fertilizers from kitchen waste. In an island of dive enthusiasts, I stuck out as an object of curiousity. I was gathering sea weeds on the beach and moving them towards the farm. I was chopping fruit scraps, fish guts and seaweed for fermentation into natural fertilizers. While most of these were by now second nature to me, everyone in the island kept asking me about this “thing” I was doing. This thing called island farming. Sangat Island is an ecotourism destination. Started in the mid 80’s by a British treasure diver that had decided to marry a local lass, this resort was the closest to most of the wrecks in Coron Bay. It was, surprisingly, quite popular with foreign divers. People from all over the world practically came to the Philippines to go to this island and dive the wrecks around it. It is very native setting one sees in Sangat, houses are made of bamboo and topped with nipa roofing. In the evening, the staff would put mosquito nets on the beds to protect their guests. Electric power was only available from six in the evening till seven in the morning. There were clean bathrooms, a huge ceiling fan over the beds and not much else. No music system, no television and no power in daytime. The resort did have an internet point, the clubhouse where people would converge to avail of the solar powered batteries that charged phones, laptops and cameras while the generator kept silent. The feel of Sangat Island is very family-oriented. Everyone ate at set times of the day, sharing a common family style buffet setting at every meal. The employees were very friendly and casual, it would make anybody feel at home. 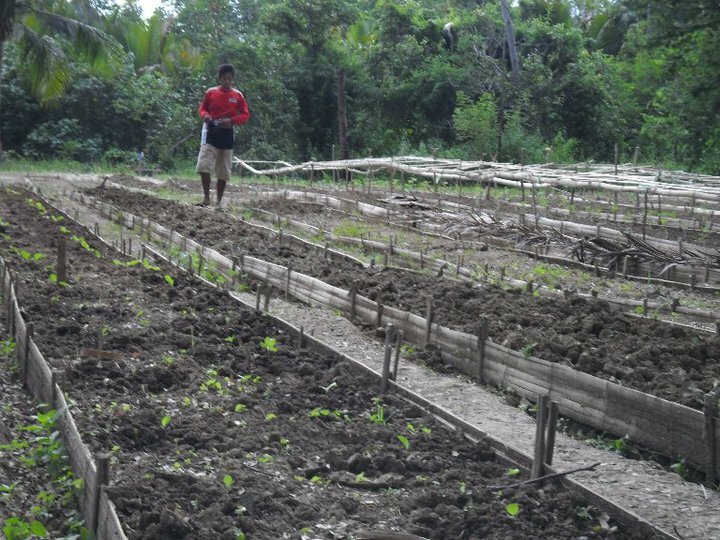 Just half a year of work in the jungle, we’ve carved out a little farm for the resort, producing a good percentage of vegetables it consumes. We’re slowly moving towards lettuce and high-value crops. We’re also looking at catching rain water to sustain the farm. Our little worms are doing wonders, producing fertilizer for us. The kitchen waste is also fermented to liquid stuff we feed our plants. Slowly but surely, working for a sustainable environment in the island. would bring tourists to town, to be picked up by a van that would bring us to Busuanga airport and back to civilization. While clicking on my camera during the trip, I noticed a big box of vegetables riding with us and got a big surprise. In it were cucumbers and lots of okra. “Why are we bringing vegetables to town?”, I asked the boatmen. “We need to sell them sir, we have too much of these we can’t consume all of it anymore!” was the reply. I gave them a big smile while I wanted to give my back a little pat for a job well done. Jungle farming in an island has its own simple rewards.